“Russell Baker died Monday at his home in Leesburg, Va. He was 93.” That’s the opening to the New York Times obituary after the death of one of the twentieth century’s greatest newspapermen, memoirist, writer, and overall high quality human being. 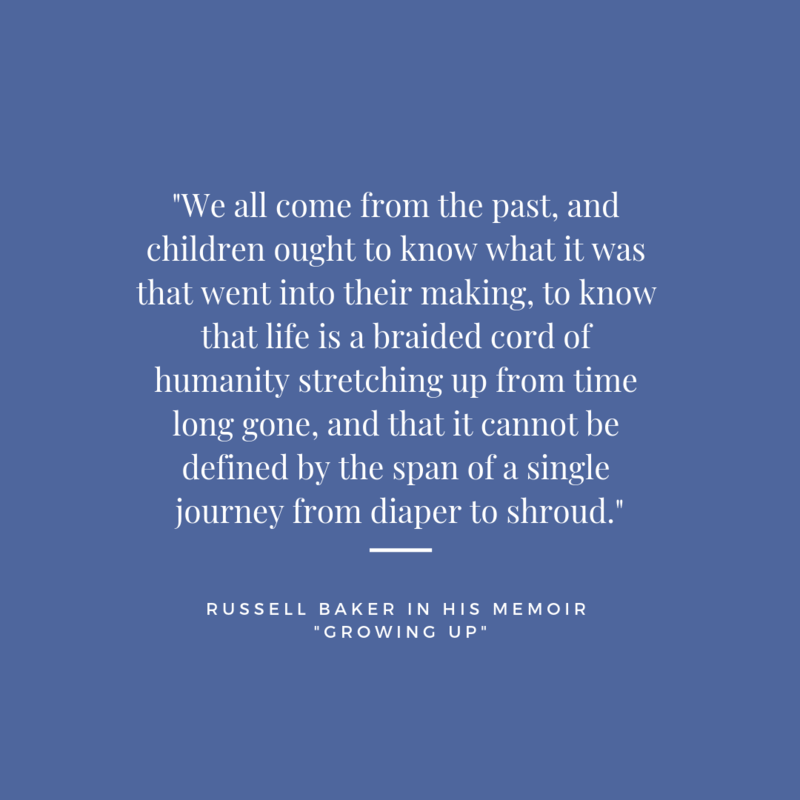 I didn’t know Russell Baker personally, but after reading and rereading his Pulitzer Prize–winning memoir, Growing Up, to the point I could quote passages verbatim, I wanted to know him. I read several of his columns, but it was that memoir that told me so much of who he was—and about the way I aspired to write, but knew I’d never attain. I was gobsmacked by those two brilliant metaphors in one sentence, each maintaining its integrity throughout. 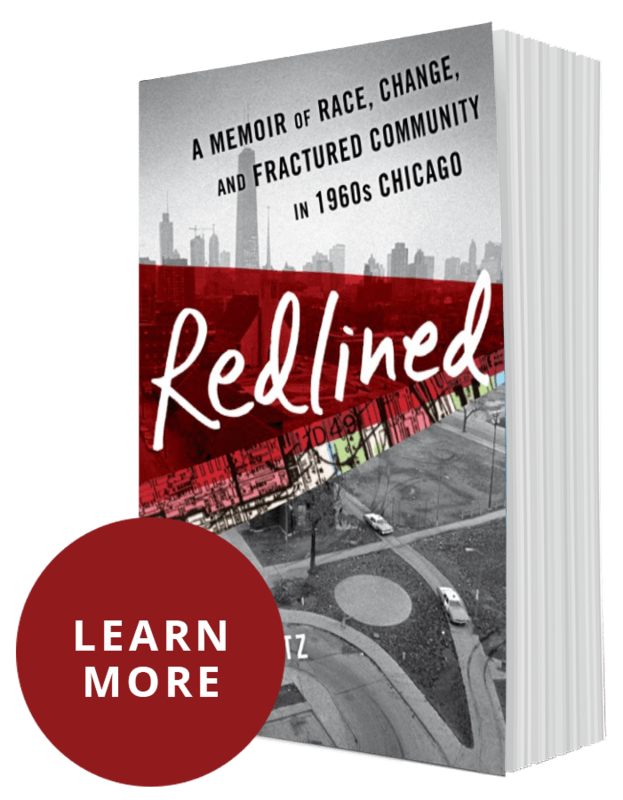 “A braided cord of humanity . . .” How beautiful and perfect that that is, the interweaving of our ancestors into marriage and intertwining with their children, who in turn transform the warp and woof of their living into the fabric of life. It’s easy to write, “from cradle to grave.” It works well (two “containers” for a human’s body, one at birth, one at death), but like so many apt phrases it’s become a cliché. So Baker finds two words that are similar in concept. He comes up with two cloths that swaddle a human, one at birth and one at death: diaper to shroud. Brilliant. I was so mesmerized by virtually every sentence in Growing Up that I kept coming back to study his memoir over and over, to think about how his mind worked to create his metaphors and and wondering if I could work at doing the same. I don’t recall how Baker’s memoir Growing Up came to my attention, but I know it was early on in my decision to write about my family. The letters and diaries I’d discovered in my parents’ attic after my mom’s death in 1994 had lain untouched for about eight years, after my brothers and I had organized them into twenty-five bankers boxes and stored them in my garage. In 2002, I finally answered a nagging inner voice to find out what had lain hidden for so many decades. 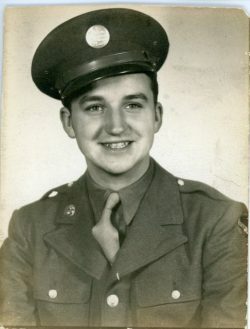 I started with the World War II letters to and from my Uncle Ebner (ABE-ner) as he trained to be a navigator on the B-17 heavy bomber and was instantly whisked back in time to the 1940s, as if on a magic carpet ride. My family’s letters were so full of life and such vivid writing and immediate emotion, I felt reading their letters as if I were entering a time machine to the past. My parents were of about the same age as Baker. My dad was ten years older, my mom seven years his senior, but my dad’s younger brother, Ebner (he was named Frank Ebner, but everyone in the family called him by his middle name) was born the same year as Baker, 1924. That fact somehow drew me even closer to wanting to understand not just how Baker wrote so beautifully, but how he evoked an era that I, too, would want to recreate. He understands sexism before it became a common concept, noting that his younger sister, Doris, had enough gumption to fulfill her mother’s dreams—and might have “made something of herself” if it weren’t for her obvious “defect” of being a girl. His sharp, well-placed irony is on display throughout the book. There is so much to recommend in this book, I can’t sing its praises highly enough. If you like humor, history, a good yarn, a fresh voice, and all that a memoir should be, read this book. 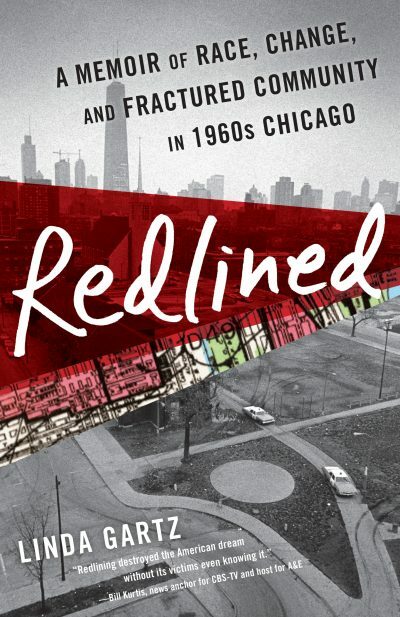 In the peripheries of my mind for about fifteen years, I’ve intended to reach out to Mr. Baker, to tell him how meaningful his memoir Growing Up has been to me, both as an aspiring memoirist and as the niece of my Uncle Ebner. I let life get in the way, and never wrote to him. Now it’s too late. His generation of people, like my parents, in-laws, and all the men who served with my uncle during World War II are nearly completely passed from the scene. That doesn’t mean they don’t have stories to tell that will captivate you and which are as relevant today (and will always be so) as when they were written.